Keyne and I just returned from an amazing trip to India. 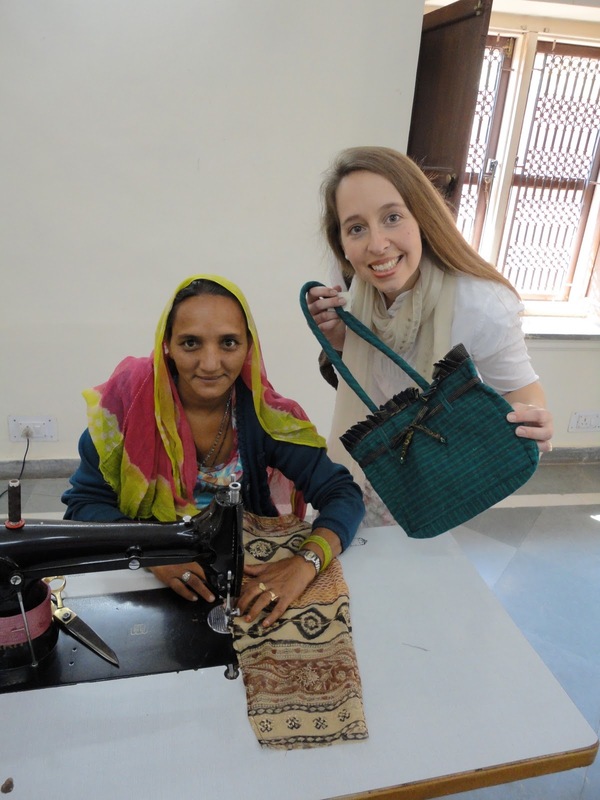 First on the agenda was visiting the Women's Training and Empowerment Center in Keru, India. Brave women from this traditional village gather at the Center for practical and vocational training. We discussed with them their current work, as well as some future projects for Elevita. Then, I played my flute for them, as a token of thanks--because the last time we visited, they sang for us. In the photo below, we are standing in front of the site for the girls' hostel. The hostel will give girls from rural areas a place to stay so that they can attend secondary school. There has been some opposition to the hostel from traditional men of the village, but if all goes well, ground will be broken later this year. The hostel will be situated next to the Women's Training and Empowerment Center (visible top right) so that the women of the Center can mentor the girls in the hostel, and so that the girls in the hostel will be in a position to receive vocational training at the Center if they desire. We also visited a crafts center in Khimsar, India. Women from all social castes come together here to create some of the highest quality goods in all of Rajasthan. The women are chosen based solely on their need. The woman pictured below has polio, but she is able to survive because of the steady employment she has found making beautiful items at the crafts center. 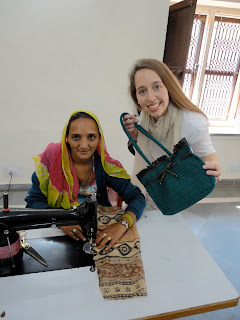 This is Manju (below), who created the gorgeous Manju bag we carry on Elevita.com. Many of the 80 women here are widows, but they are all able to provide for themselves and their families because of the high-quality goods they create at the crafts center. Elevita is committed to doing everything we can to find ongoing market opportunities for these beautiful women of the deserts of Rajasthan, India. What an inspiring trip! Thanks for sharing. I hope to see some lovely new products soon. You & Keyne are amazing. Do you ever purchase these silk scarves in India with the beading on them? I would be very interested in them. Thanks for all you are doing!